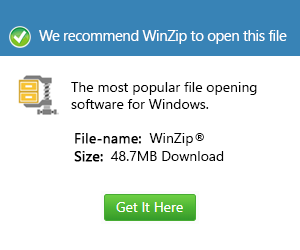 What is a gzi file and how do I open a gzi file? A group of files can be compressed in one file with a smaller size than the combined sizes of all files stored in the archive, and a Unix GZIP file is integrated with particular compression specifications also implemented into files in the more popular GZ format. These Unix GZIP files are encoded with GZIP compression specifications and stored in the GZI format. These GZI files are affixed with the .gzi extension, and multiple folders containing one or more files can also be compressed in one GZI file. Multiple GZI files can also be selected and compressed in one GZI file. The GZI file format is the replacement of the compression support implemented into Unix-based systems, called the COMPRESS algorithm. The GZI format provides better compression ratios than the older COMPRESS algorithm. The Smith Micro StuffIt Deluxe 2011 software can be used to decompress these GZI files and access its archived content. The Corel WinZip 16 Pro software is also integrated with decompression support for these GZI files.